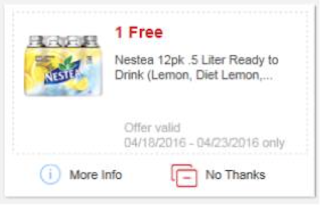 1 FREE Nestea 12pk, Lemon, Dt Lemon, Raspberry or Peach! Enter code "nestea16" in the search bar by clicking on the magnifying glass! Once you log in the app typically takes you to the "Home" screen. From here click on "mPerks" at the bottom of the screen. 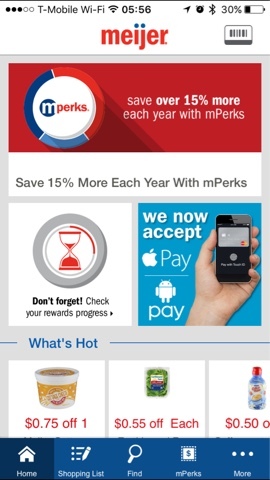 The "mPerks" screen should look something like the above picture. 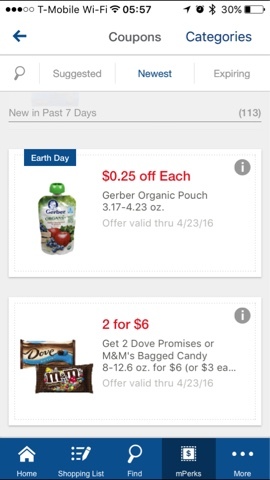 Go to the "Coupons" section, about half way down the page and click on "View All"! Once you click on "View All", click on "Newest" at the top. 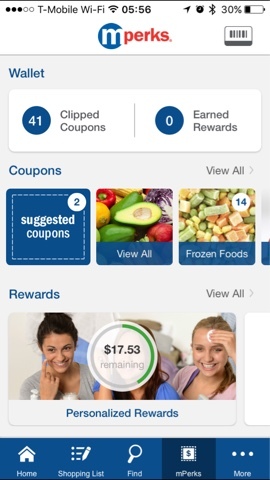 Scroll down and you will find the Free Nestea coupon! Click on it to clip it and you are all set! Please tag a friend or share this post to get the word out!